NOAA has prepared plans to capture J50 if she can be taken from her pod safely or is otherwise stranded or alone. But no one has seen her in days. “I think she is gone,” said Ken Balcomb, founding director of the Center for Whale Research, who keeps the population data on the southern residents and would make the official call on J50’s status. Balcomb said he has a boat out looking for her and would join in the search later in the day to make an official announcement. The search at this point is just a matter of protocol, he said. “I thought she was dead Monday,” Balcomb said. The 3-year-old whale was last seen Friday at Lime Kiln Point on the western shore of San Juan Island. 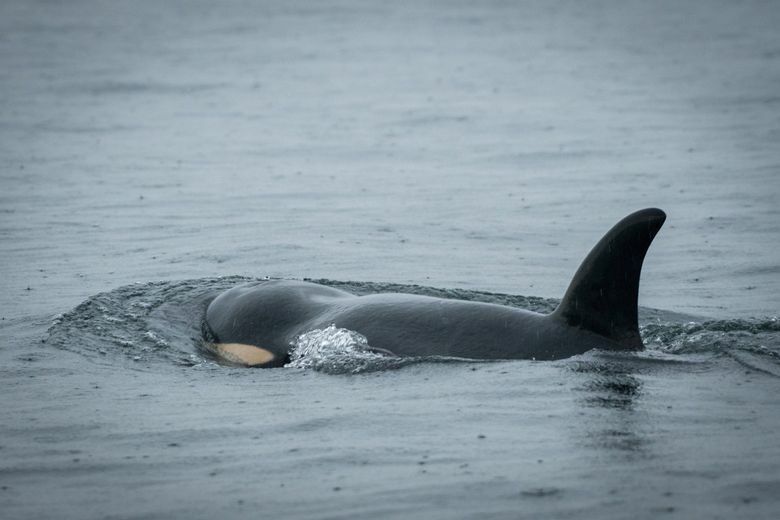 Her family was seen Wednesday at the south end of Lopez Island, but J50 was not among them. “Unfortunately J50 has not been seen in several days of favorable conditions and repeated sightings of her pod and family group, including J16, her mother,” the agency said in a news release. “Teams were on the water searching yesterday and are increasing a broad transboundary search today with our on-water partners and counterparts in Canada. We have alerted the West Coast Marine Mammal Stranding Network, which is a tremendous resource in such situations. The hotline for stranding reports is 866-767-6114. Further updates can be found at bit.ly/NOAAJ50J35. The agency had planned to rescue the whale, and to more aggressively intervene to try to save her life, including captive rehabilitation. J50 has surprised people before, going missing for days, then turning up within hours of announcements that she perhaps was gone for good. 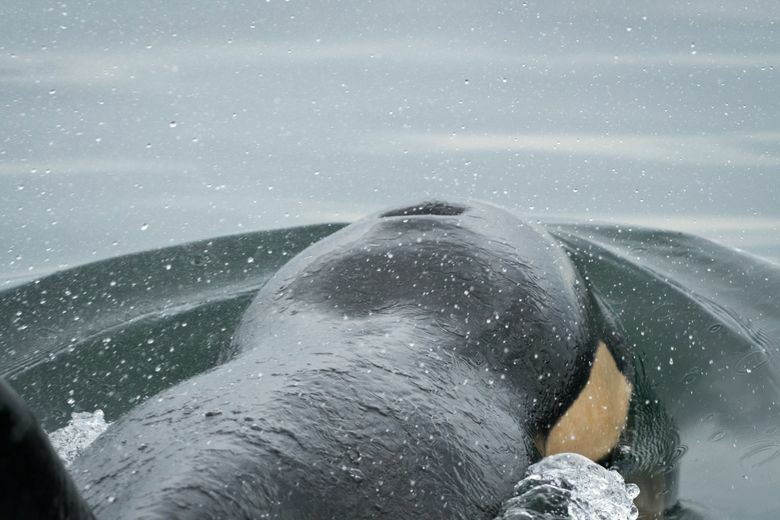 “Other southern residents, from K and L pods, as well as J pod whales, are probably still in the area, so it will be a long day of searching by all,” Balcomb wrote in an email to The Seattle Times. Correction: An earlier version of this story misstated the last day J50 was seen, due to a miscommunication among the research team.